PHILADELPHIA – Sanjiv Sam Gambhir, MD, PhD, known for his pioneering work in multimodality molecular imaging, was awarded the Benedict Cassen Prize during the 2018 Annual Meeting of the Society of Nuclear Medicine and Molecular Imaging (SNMMI) in Philadelphia, Pa. This honor is awarded every two years by the Education and Research Foundation for Nuclear Medicine and Molecular Imaging in recognition of outstanding achievement and work leading to a major advance in nuclear medicine science. 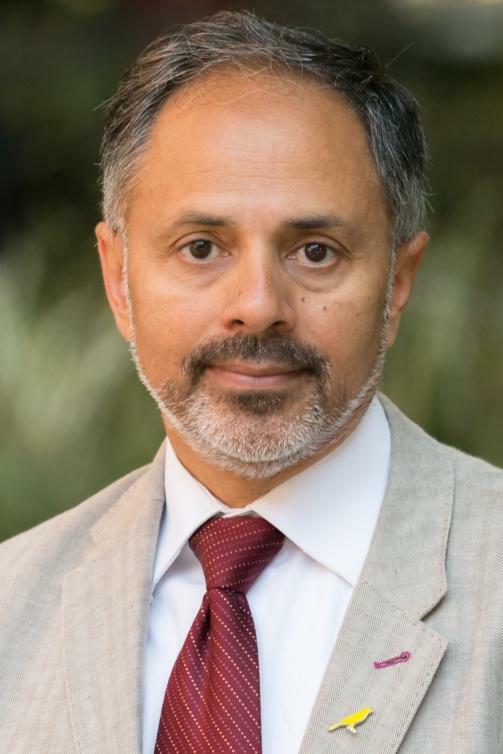 "The Cassen Prize Committee selected Sanjiv (Sam) Gambhir as the 2018 recipient in recognition of his advanced work into the study and development of in vivo multimodality molecular imaging. His pursuit of expanding molecular assays to study the biology of diseases, especially cancer, using multiple imaging modalities and in vitro assays has advanced not only the nuclear medicine field but health care in general." said ERF President Frances K. Keech, DHSc, RT(N), FSNMMI-TS. During a special plenary session at SNMMI's Annual Meeting, Gambhir presented the Cassen Lectureship on "Multimodality Molecular Imaging of Cell/Gene Therapies for Early Disease Detection and Management." He discussed reporter genes, how they have been utilized, how they can be imaged, how they have been translated to monitor patient T-cell therapies, and how they might be used in the future to improve blood-based and imaging diagnostics. "I am truly honored to receive this award that represents the hard work of so many individuals from around the world over the last 25 years. I have had the great fortune of learning both from my terrific mentors and from my trainees. We are in the infancy of a great revolution coming in early disease detection. I am optimistic that the foundations we have laid in merging the field of cell/molecular biology with the field of biomedical imaging will lead to significant impacts in health care for decades to come," Gambhir commented. Gambhir is currently the Virginia and D.K. Ludwig Professor of Cancer Research and Chair of the Department of Radiology at the Stanford University School of Medicine. He heads up the Canary Center at Stanford for Cancer Early Detection and directs the Molecular Imaging Program at Stanford (MIPS). He also heads up the new Precision Health and Integrated Diagnostics (PHIND) Center at Stanford. He received his MD and PhD from the University of California, Los Angeles (UCLA) Medical Scientist Training Program. Gambhir's lab has focused on interrogating fundamental molecular events in living subjects. He has developed and clinically translated several multimodality molecular imaging strategies, including imaging of gene and cell therapies. An internationally recognized researcher in molecular imaging, Gambhir has more than 625 publications in the field, several books, and more than 40 patents pending or granted. His lab's work has been featured on more than thirty journal covers. Gambhir serves on academic advisory boards for universities around the world. He served as a member of the Board of Scientific Advisors of the National Cancer Institute (NCI) from 2004-2012, and he recently was appointed to serve on the National Council of the National Institute of Biomedical Imaging and Bioengineering (NIBIB). He serves as advisor to multiple commercial companies. He has developed several novel imaging agents that have received Investigational New Drug (IND) status from the U.S. Food and Drug Administration and is currently running several clinical trials. He has also founded or co-founded several startup companies in the diagnostics space. Gambhir has received numerous awards, including the George Charles de Hevesy Nuclear Pioneer Award and the Paul C. Aebersold Award for outstanding achievement in basic nuclear medicine science from the Society of Nuclear Medicine and Molecular Imaging, Outstanding Researcher Award from the Radiological Society of North America in 2009, the Distinguished Clinical Scientist Award from the Doris Duke Charitable Foundation, the Holst Medal, the Tesla Medal, the Hounsfield Medal from Imperial College, London, and the J. Allyn Taylor International Prize in Medicine. He was elected to the National Academy of Medicine in 2008, the American Association for the Advancement of Science in 2014, and the National Academy of Inventors in 2016. The Cassen Prize honors Benedict Cassen, whose invention of the rectilinear radioisotope scanner–the first instrument capable of making an image of radiotracer distribution in body organs of living patients–was seminal to the development of clinical nuclear medicine. Gambhir is the 14th individual to receive this prestigious $25,000 award from the Education and Research Foundation for Nuclear Medicine and Molecular Imaging since 1994.